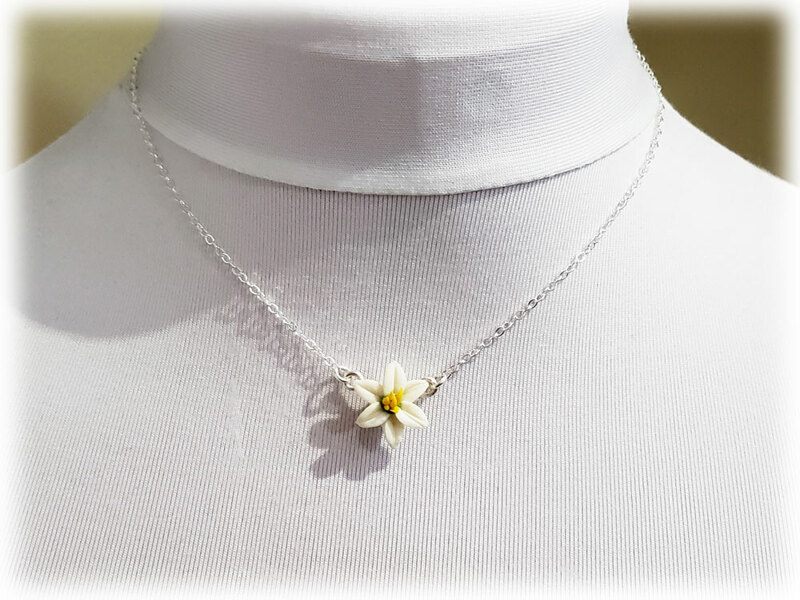 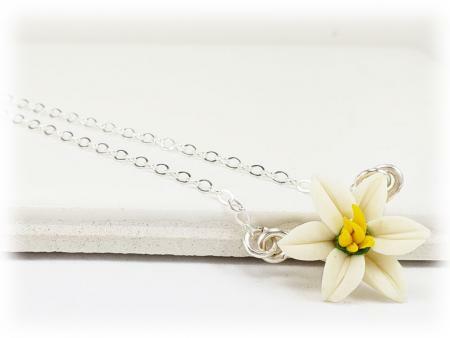 A minimalist adorable style is featured with this petite white easter lily necklace for an everyday simple flower necklace. 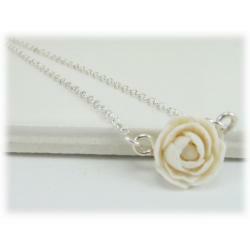 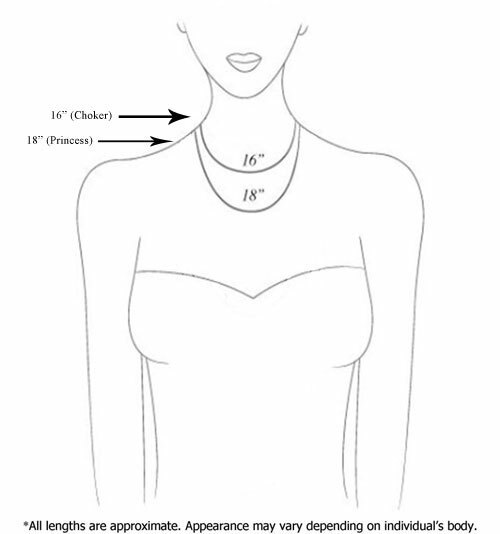 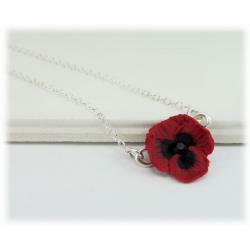 Choose your chain length as a choker necklace or longer. 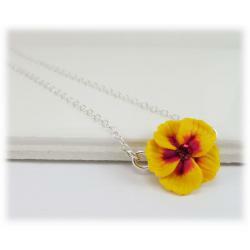 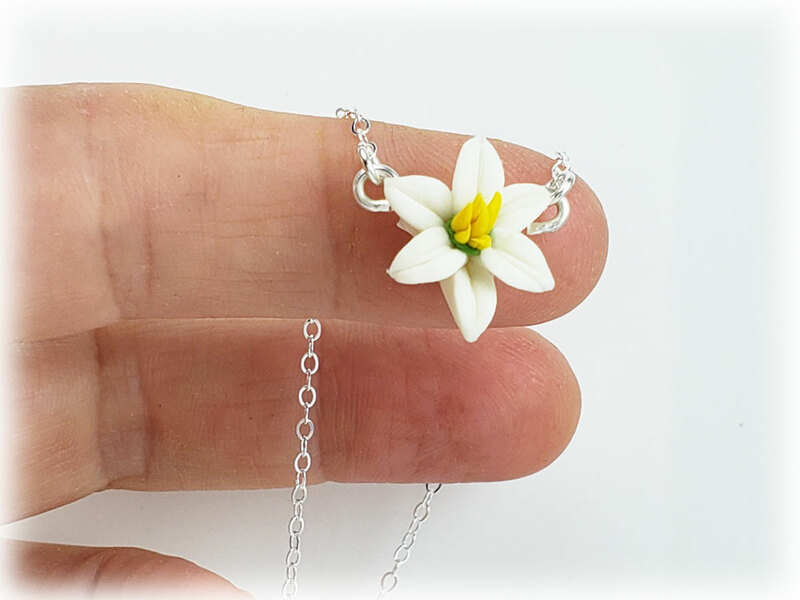 The tiny Easter Lily necklace flower measures approximately 12mm and is available in many colors and a choice of assorted style chains including 925 sterling silver and 14k gold filled.